Was getting more sleep part of your resolutions for the new year? Even with the best of intentions and a strict sleep plan, sleeping comfortably with arthritis can be more difficult that you imagined. Unfortunately, poor sleep habits can exacerbate your symptoms, which creates a vicious cycle of pain and lack of sleep. Because of this cycle, it is essential that arthritis patients get adequate sleep. If pain and stiffness are keeping you from falling asleep and staying asleep, try following these six tips. Research shows that people who are active sleep better and more soundly. Your joints are meant to move so keep them mobile. Whether that means walking or yoga, be sure to stay active and stretch properly. However, ensure you are doing any vigorous activity before sunset, as getting your heart rate up too close to bed time can prevent proper sleep. Ease joint pain before bed by using a heating pad or soaking in a warm bath. Not only is this relaxing but it soothes achy joints and muscles. During this time indulge yourself – use this as a reward for a healthy workout. Follow good and regular habits every night to promote quality sleep. Go to sleep and wake up at the same time every day, avoid caffeine and large meals before bed, establish a night routine that lets your body know it’s bedtime and ban all electronics. Implementing a consistent routine will help your body develop an internal clock which will help you sleep longer and better. Consider your mattress and pillows. A quality mattress and pillows can make a huge difference in your comfort and sleep. Your mattress should be supportive, but not too firm. Use your pillows strategically to elevate body parts. Research different mattresses and pillows to find a solution that works for you, and remember, you don’t have to break the bank to find comfort. If all else fails it may be time to research a sleep aid or night time pain reliever. Before doing this speak with your doctor and together come up with a plan. Make a list of all current medications so you can rule out anything that is preventing your sleep. It seems simple, but people with arthritis get used to not sleeping and often forget to speak up. Your doctor can work with you to help identify what is causing your sleep issues. If you are struggling with sleep be sure to consult the experts at Carolina Arthritis today! We have seven knowledgeable physicians who are all here to help and improve your quality of life. Remember, arthritis and sleep problems are manageable. There is no reason to be in constant pain and struggle with inadequate sleep. 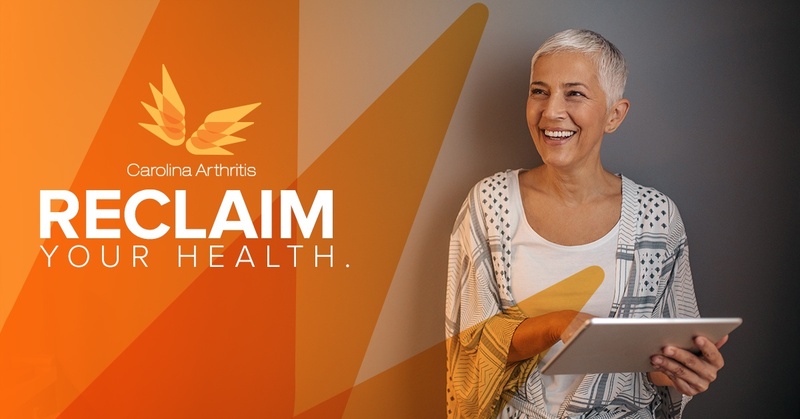 Make an appointment with Carolina Arthritis Associates and together let’s explore solutions that help you rest a little easier!